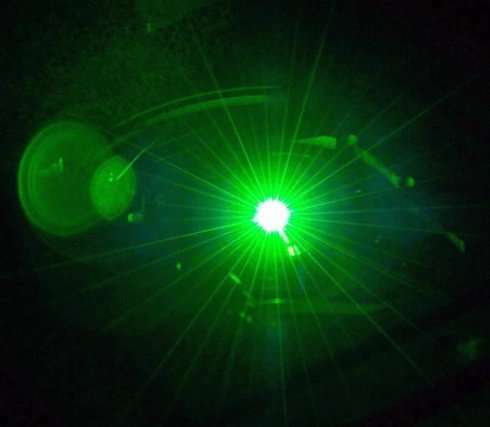 "Today, ultra-low expansion (ULE) cavity lasers exhibit the narrowest linewidth and highest performance, but they are bulky and very sensitive to environmental noise," said William Loh, the paper's first author. "Our goal is to replace ULE lasers with one that could be portable and isn't sensitive to environmental noise." "Temperature is an important contributor to laser noise," said Loh. "A high-quality laser needs to not only have a narrow laser linewidth but also a way to keep that emission stable over the long term." "We think that atomic clocks based on our stable, narrow linewidth laser could be used to more precisely pinpoint the signal's time of arrival, improving the location accuracy of today's GPS systems," said Loh. "The fact that our laser is compact means it could be used aboard satellites." "There are efforts underway to use lasers in space to create longer interferometer arms for gravitational wave observation," said Loh. "Due to its compact size and robustness, our laser might be a candidate for gravitational wave detection in space."